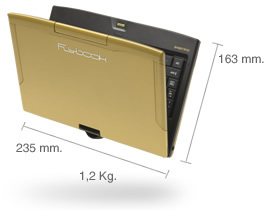 Its modest dimensions and weight (23,5x16,3x3,0cms for 1.2 kgs) make Flybook V5 a highly portable notebook that suits any occasion. 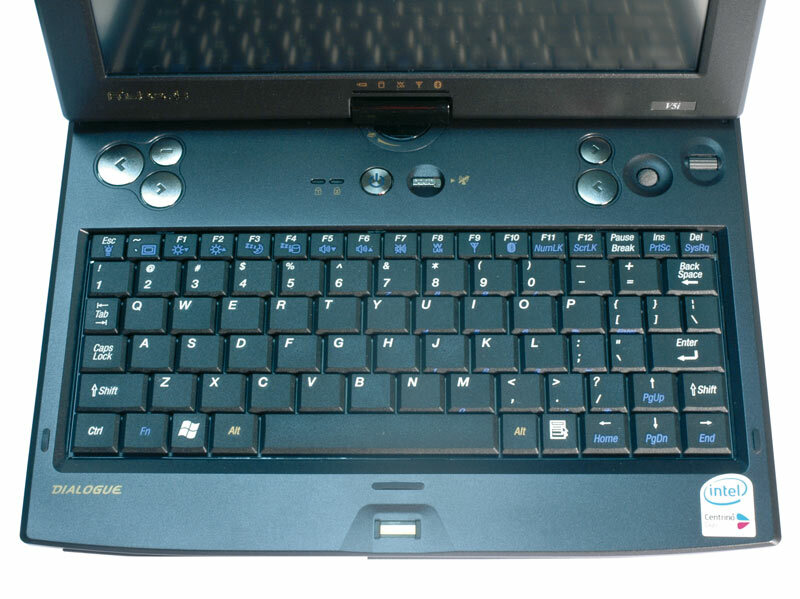 The thorough study of all the ergonomic aspects, the keyboard dimensions and the position of the main control keys allow a very simple usage – even standing. Connected everywhere: your Flybook V5 allows you to stay always connected thanks to its in-built technologies. Voice, data and videos can be transferred and received both wired and wireless using high-speed connections. The latest powerful Intel processors, autonomy-ensuring low-consume components, its accessories and multiple options: this is what makes your Flybook V5 an unrivalled technological jewel. Among its cutting-edge technological features: touch screen, magnesium-alloy cover, possibility of SSD disk and SunLight readable screeen. 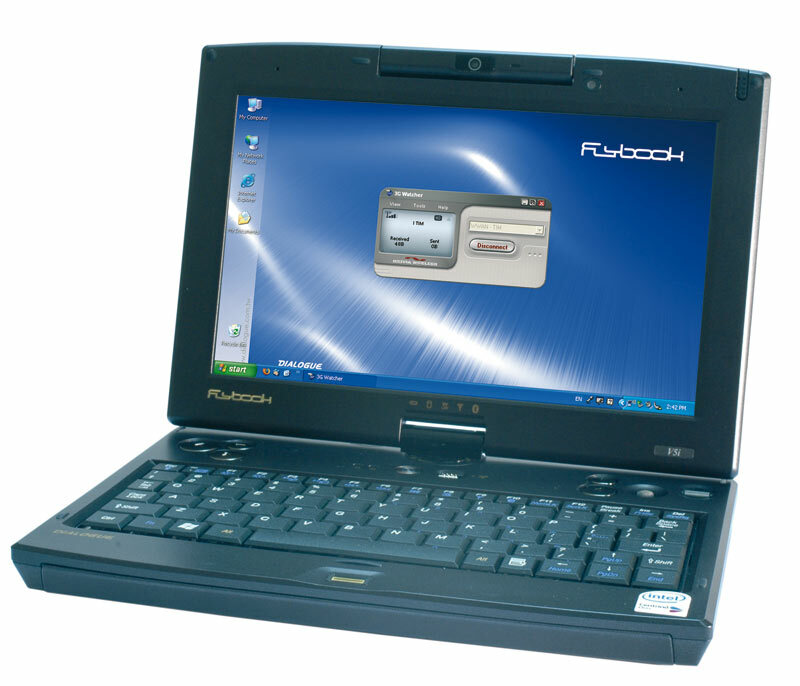 Flybook V5 integrates the latest communication technologies, wired and wireless. 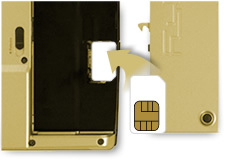 Thanks to the in-built HSDPA module, you need only to insert a SIM card in the special slot, and you will immediately be able to easily connect to the Internet. The integrated software is able to automatically recognise and customise all network providers worldwide. 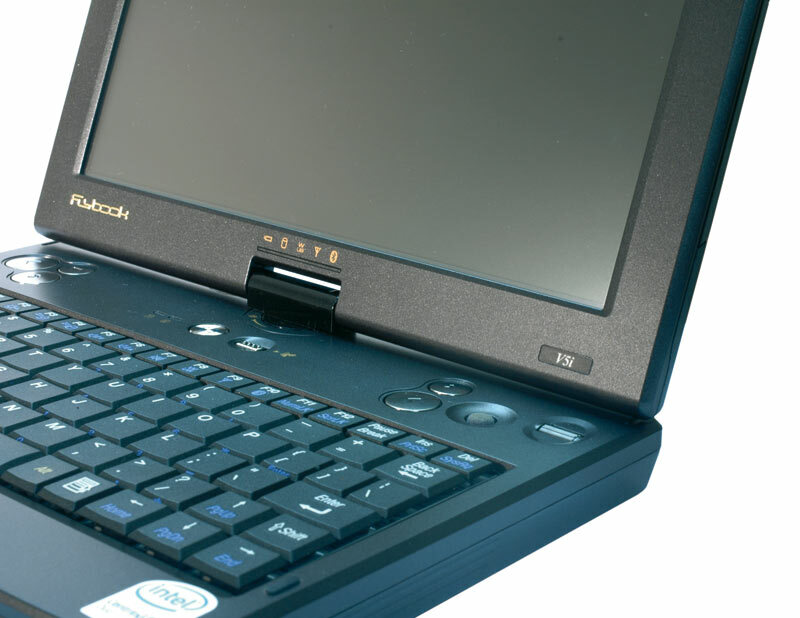 And the study of the antennae localisation allows a receiving capacity unreachable by the external USB or PCMCIA transmission devices. Besides, it allows you to reach the highest connection speeds even in poor network conditions. The great expansion of WiFi technologies to wireless connect to the Internet both in professional and domestic settings through the public or private hot-spots, make your Flybook V5 an inseparable resource for your daily activities. No more cable connections! 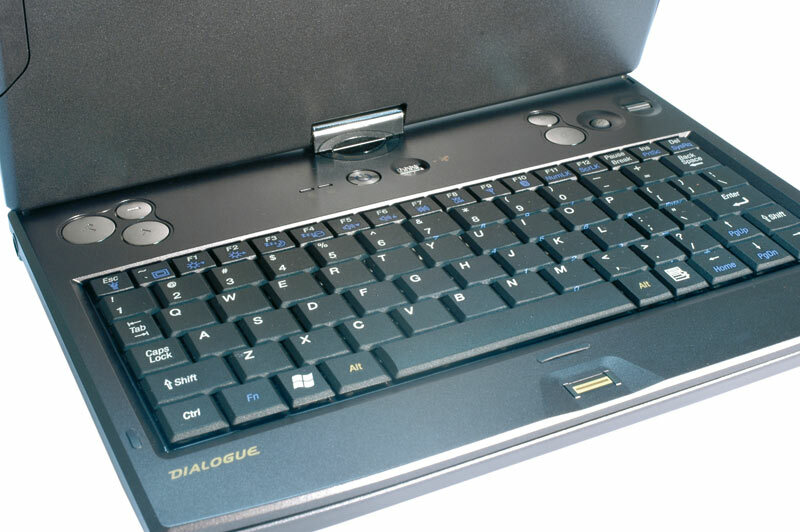 Thanks to the bluetooth technology that allows the exchange of information among different devices, you can easily use all the accessories of the Flybook line (and more) with an in-built special software. Equipped with the latest Gigabit LAN technology, your Flybook V5 reaches the top af all performances when it comes to LAN networks. By inserting the Ethernet cable, the system immediately recognises the specific connection used and allows you to transfer data at extremely high speeds. 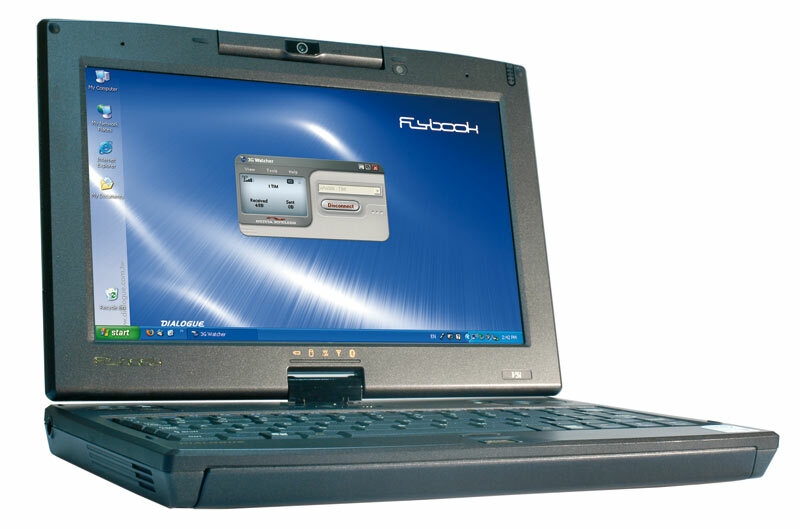 And besides having all the latest technologies, your Flybook V5 has an in-built 56K analogic modem that can connect to a traditional telephone line when necessary. Whatever the connection used, your 1.3Mpixel webcam will allow you to be seen while videoconferencing, thus reducing distances. Maximum security and improved user-friendliness are the main advantages of the in-built biometric fingerprint reader device. 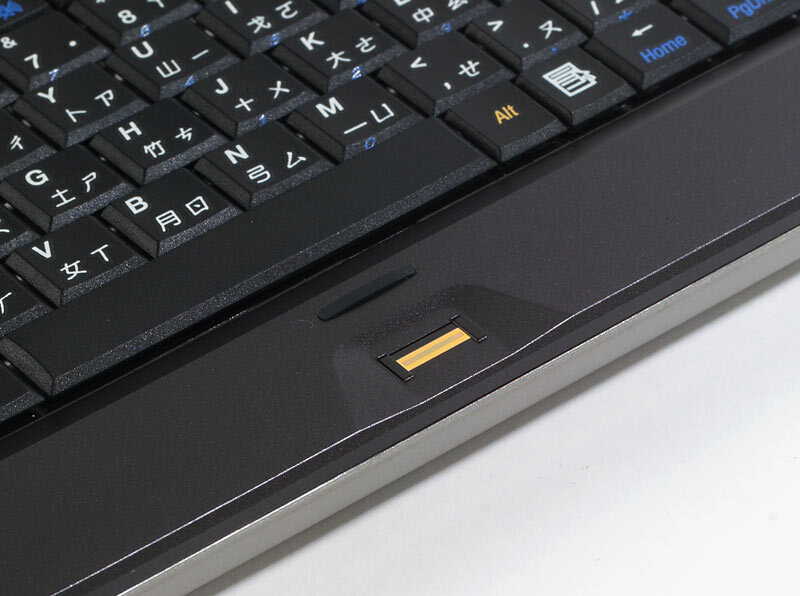 Its integrated software allows you to use your fingerprint for accessing your computer, memorising passwords to protected websites, and protecting data already stored in your hard-disk. 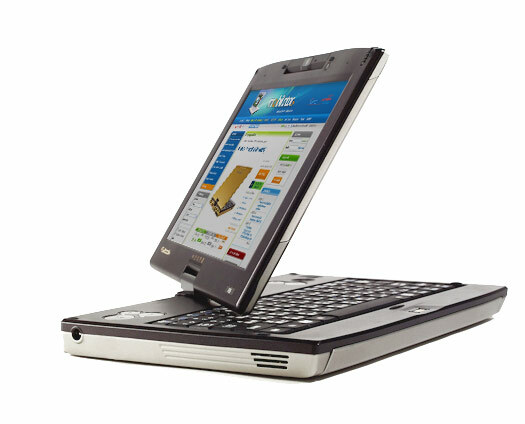 The Flybook’s integrated cellular system allows the topmost security level. In case of theft, its IMEI code (International Mobile Equipment Identity) allows the immediate localisation of your computer, speeding up the work of police forces in helping you having your notebook back. Concentrating Flybook V5 high performances in small dimensions means solving the problems linked with consumes and heat dissipation. The use of Intel Core® 2 Duo® ULV (Ultra Low voltage) processors ensures a perfect combination between dual-core high performance and the highest autonomy due the low-consume processor. 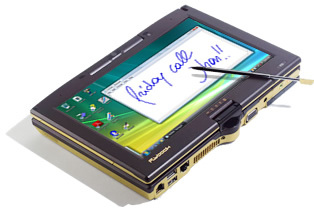 Use your Flybook V5 like a real block notes: thanks to its touch-panel, it allows you to write your notes on the screen as you would do with a normal paper sheet. 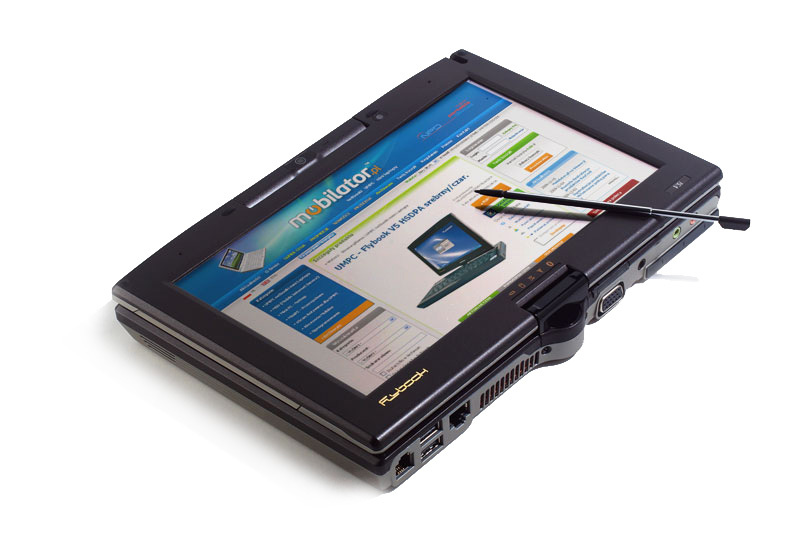 The stylus pen can be used to easily and quickly access all the Flybook’s functions or to add notes to your documents. 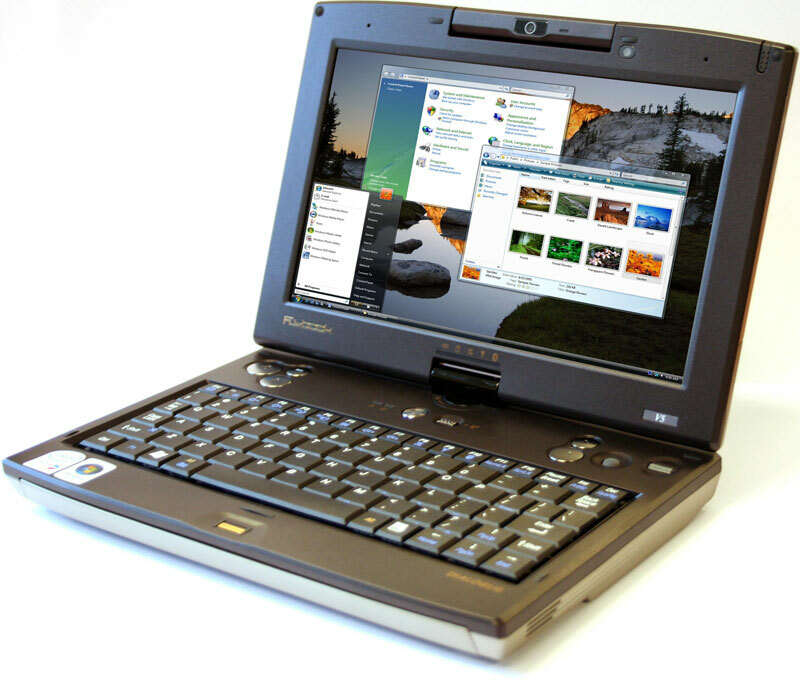 Thanks to the Microsoft Windows Vista operative system, it’s easier to manage all the info written on the screen: use the tools given by the O.S. and see how they perfectly integrate with Flybook’s technology. Being the lightest and most resistant material among those commonly used, Dialogue has chosen a magnesium alloy case in order to further exalt Flybook V5 lightweight and durability. 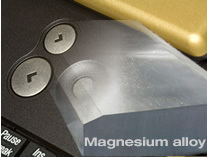 In case of shocks due to falls or vibrations, this alloy ensures maximum strength, thus preventing unpleasant crushes. 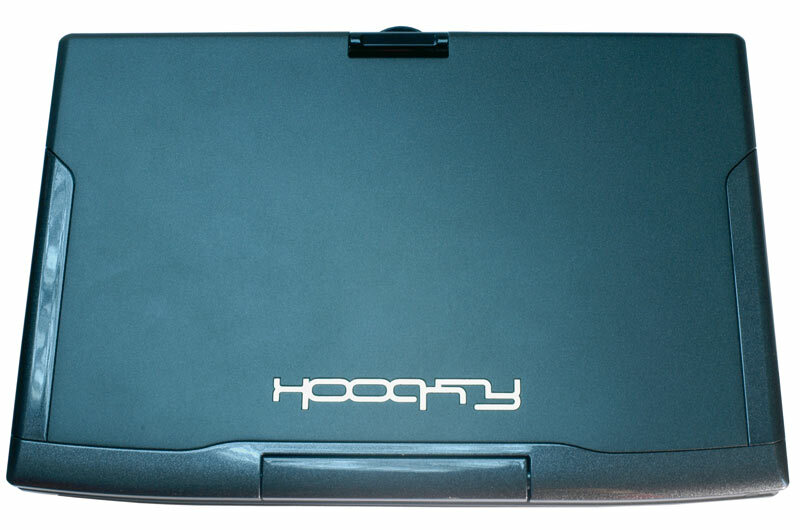 And thanks to a better heat dissipation system, your Flybook is able to perfectly cool down its components, ensuring global reliability. 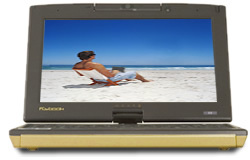 The optional Sunlight Readable screen is a must for those who want to use their Flybook outdoors. 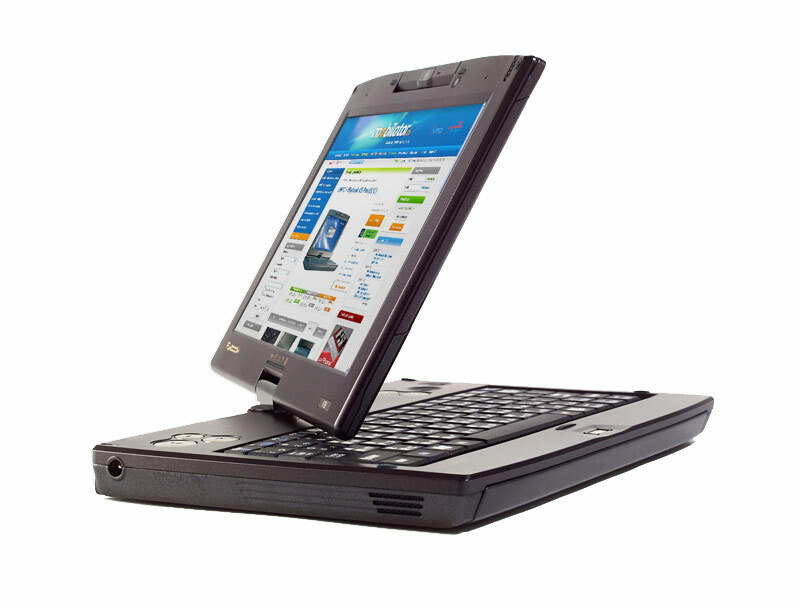 While other screens and their readability are compromised by direct sunlight, Flybook SLR ensures perfect use by converting solar rays in increased brightness, thus avoiding undesirable reflexes. 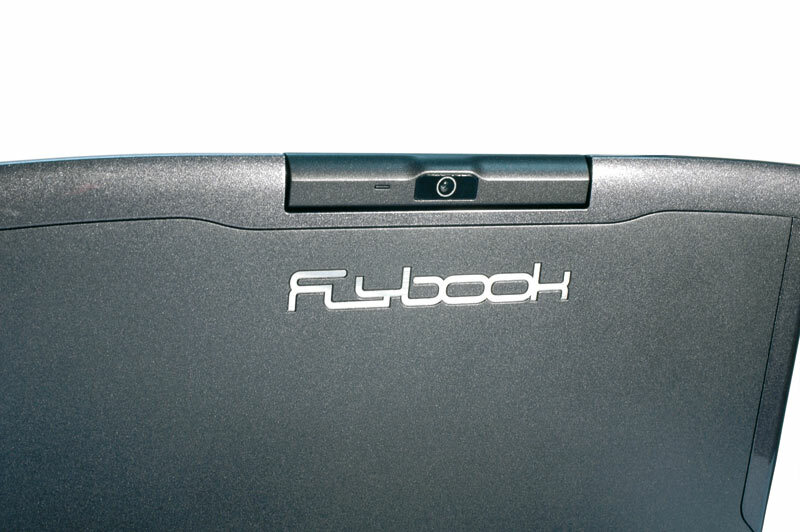 Ideal in nautical settings, this option makes your Flybook V5 even more versatile. WAN: HSDPA/UMTS/EDGE/GPRS/GSM (data, voice and SMS). UMTS (HSDPA): 850/1900 i 2100 MHz, EDGE/GPRS/GSM: 850/900/1800/1900. Built in mobile phone.